Saudi Arabian technology leader and major IT supplier to the government builds local web accessibility skills capacity by commissioning Media Access Australia to deliver customised onsite version of specialist course. Tamkeen Technologies, established in 2013 and headquartered in Riyadh, Saudi Arabia, is an organisation owned by multiple Saudi government and private sector organisations. Its role is to serve the needs of government organisations in Saudi Arabia by providing information technology (IT) and labour market services. Its services include technical consultancy, systems integration and software development, and employment services and technical support in information technology. As part of its remit to carry out employment services and technical support in information technology, Tamkeen had a direct need to train up its internal staff on a growing and important area of information technology: digital accessibility. Digital accessibility stems from the legal and policy requirement to make digital media—websites, documents, applications, video and other content—accessible to the broadest possible audience, including people with disabilities, ageing members of the community, those from non-English-speaking backgrounds and those with varying levels of education. 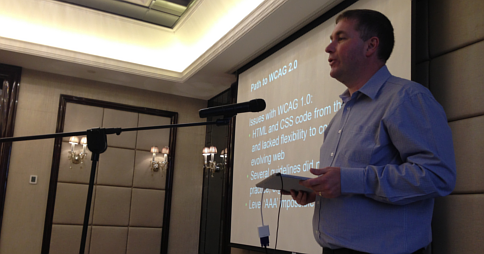 A key requirement for successfully implementing digital accessibility is knowledge on web standards, in particular, the Web Content Accessibility Guidelines (WCAG) 2.0 and the Authoring Tool Accessibility Guidelines (ATAG). 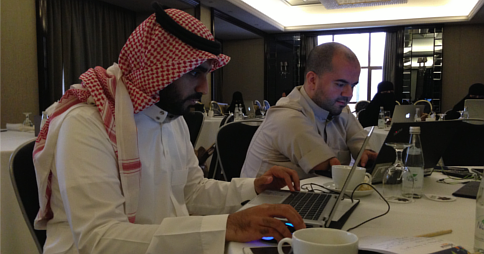 In addition to the need to adopt digital accessibility as a part of information technology best practice, Tamkeen also had a need to upskill itself due to the Saudi government being a signatory to the United Nations’ Convention on the Rights of Persons with Disabilities, which stresses the importance of governments actively working to improve access to information technology and communications. Further, the Saudi government is also examining adopting legislative and policy measures similar to those of the United States’ Section 508, which also has requirements for improving access to information technology and communications. Finally, there was a longer-term strategy of developing accessibility knowledge for local web and digital professionals rather than relying on external consultants and suppliers. 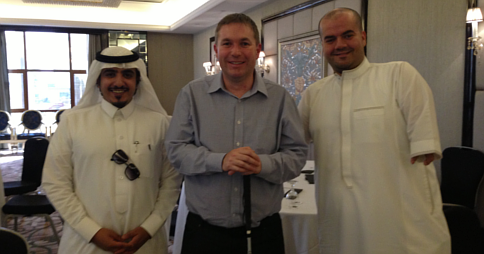 In light of the need to quickly train and upskill staff and related government employees in digital accessibility, Tamkeen commissioned Media Access Australia to deliver intensive onsite training in Saudi Arabia. Media Access Australia has previously developed and delivered the Professional Certificate in Web Accessibility to students around the world via an online delivery model, and in conjunction with the University of South Australia. The Professional Certificate in Web Accessibility is Australia’s only university-accredited web accessibility certificate for web professionals. It teaches the essential principles and techniques for achieving accessibility compliance, and enables teams to develop websites that work for more people, including the ageing population. The course also assists government departments to meet accessibility policy requirements, helps organisations meet obligations under disability-related laws, and guides management on international best practice in accessibility, including adherence to the W3C’s WCAG 2.0. Responding to Tamkeen’s need for rapid delivery of the Professional Certificate in Web Accessibility—the course is typically offered over six weeks in an online learning environment—Media Access Australia developed an innovative, intensive format allowing the course to be delivered in just five days onsite. Two of the three course assignments were completed afterwards and submitted online for grading. 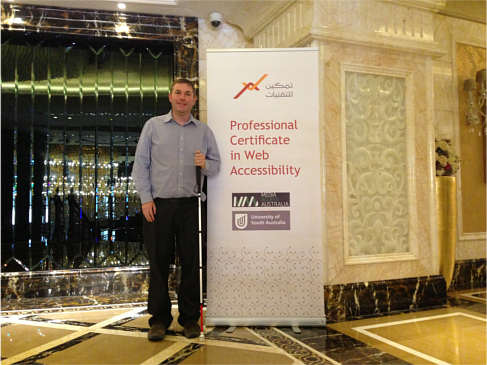 The course convenor and Media Access Australia’s W3C representative, Dr Scott Hollier, says that delivering the Professional Certificate in Web Accessibility onsite provided a unique learning environment for Tamkeen. “In an online learning environment you don’t have the opportunity to share in that powerful moment when you realise the power of web accessibility—that ‘light bulb’ moment where you come to understand not only the difference web accessibility can make, but that you have the ability to make a massive difference for people with disabilities,” Dr Hollier says. “When you experience training in-person, rather than online, you can begin to see why the massively open online courses (MOOCs) that were touted as the future of learning are starting to wane. Receiving tailored onsite training from Media Access Australia, recognised experts in digital accessibility and web accessibility, had many benefits according to Tamkeen’s Muthana Abdulkareem Alduaiji. “We had more than 20 people who wanted to upskill quickly and the opportunity to have face-to-face training and to be able to interact directly with the experts was a good way to build that knowledge in an environment that suited our needs. Tamkeen agreed that the flexible approach of training on-site suited its needs. Media Access Australia also helps increase inclusion through its thought leadership and research in important areas such as social media accessibility and cloud computing and mobile accessibility.